If you want to experience a beautiful, European-style city without crossing the Atlantic, put Quebec City on your bucket list. Designated as a UNESCO World Heritage Site, this charming city of half a million people high on a bluff overlooking the St. Lawrence River has narrow cobblestone streets downtown, gorgeous views, buskers, an abundance of bistros and boutiques, five centuries of history, and French panache. Almost everybody in this French-speaking city is fluent in English. Americans are welcome, and the U.S. dollar has favorable buying power against the Canadian dollar. As seen from the Dufferin Terrace, the Chateau Frontenac is an imposing structure. Dating to the early 17th century, Quebec City shows its French and British colonial heritage as well as its Canadian side with the only walled city in the United States or Canada. Besides historical fortifications, this bustling port city offers quaint shops, modern cruise ships, the impressive Chateau Frontenac Hotel (built by the Canadian Pacific Railroad in 1893), great restaurants, shops, museums and a lively arts calendar. Check out the must-see attractions at www.quebecregion.com/en. Quebec City Jean Lesage International Airport (YQB) has frequent commercial airline service to U.S. and international destinations. The nearest cruise port is downtown in the Old City riverfront. Via Rail, the national passenger train system of Canada, serves Quebec City with many trains per day and connects with Amtrak at Montreal. By car, Quebec City is on Canadian Autoroutes 40 and 20 east and west. From the United States, Autoroute 55 connects to Interstate 91 in Vermont. 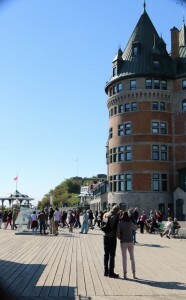 The Dufferin Terrace overlooks the Old Port and the St. Lawrence riverfront. The Chateau Frontenac is on the right. Enjoy a meal at a sidewalk cafe in season. We liked 3 Brasseurs, but there are scores of good ones. Have dinner at an upscale restaurant like Le Graffiti. Tour the city on Le Bus Rouge (hop on and hop off) or via a horse-drawn carriage. Explore the city’s rich history and culture. Parliament Hill (Quebec Provincial Parliament). 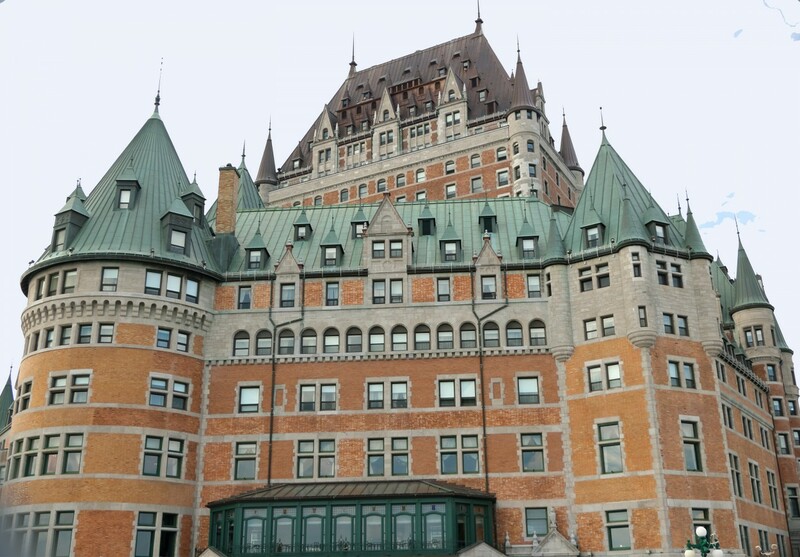 • The walled Old City (La Citadelle fortifications and museum, European-style shops, galleries, restaurants, and the imposing Chateau Frontenac Hotel). A ride on the funicular or a walk down to the Old Port from Dufferin Terrace in front of the Chateau Frontenac to explore shops, galleries, bistros and history. 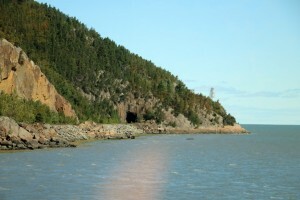 • Jacques-Cartier National Park, 32 miles north. • Montmorency Falls Park and its gorgeous falls, taller than Niagara. • A round-trip train trip down the St. Lawrence River to Baie St. Paul in the Charlevoix region. The scenery along the river is spectacular, and the Charlevoix area is beautiful with summer touring and winter skiing. 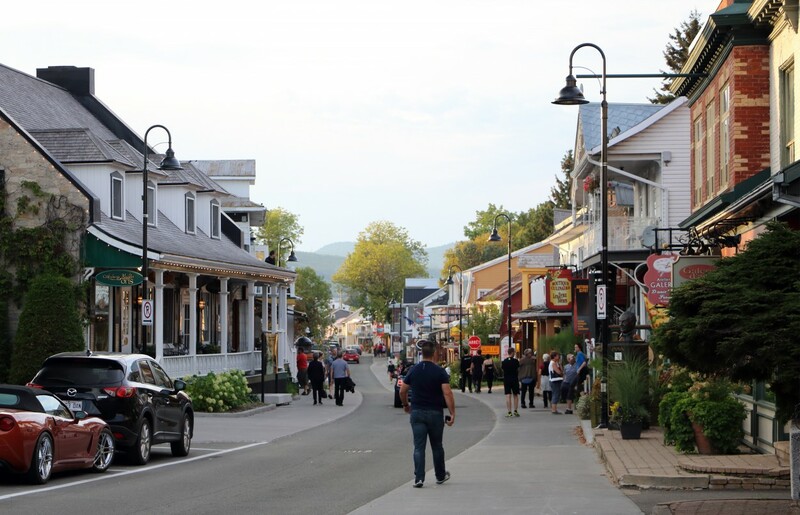 While in Baie St. Paul, explore Rue Saint-Jean-Baptiste; eat at the Mouton Noir, presided over by French chef Thierry Ferré, with a spectacular terrace overlooking a river; and visit galleries in the warm weather. Stay at Aux Portes du Soleil or the Germain. 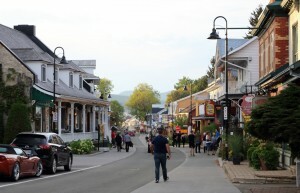 Baie St. Paul in the Charlevoix region features pleasant shops and restaurants. Quebec City is an urbane and cosmopolitan place where you can spice things up with interesting colors, festive sweaters and blouses for women and comfortable jackets and slacks for men. Ties are not needed. Be sure to wear comfortable walking shoes and dress for the weather. Charlevoix has more of a small-town atmosphere, so casual is fine. Quebec City is not a notable center of Jewish culture or activity, although Jews have had a presence in the city and surrounding area since the 18th century. The Jewish population was not much more than 125 families until the mid-20th century and has probably dwindled since. Montreal and Toronto are far more Jewish. The city has one synagogue, Congregation Beth Israel Ohev Shalom. Mobility level — Moderate if you want to walk the city’s steps and hills (recommended). Those who cannot or don’t want to walk a lot can take taxis and horse-drawn carriages almost everywhere in the Old City. Quebec City’s charming Old Port area awaits visitors who venture down the hill from the Chateau Frontenac and the Dufferin Terrace’s spectacular view. The funicular (in the background) and steps are available to move up and down the hill. When to go — Year-round. Summer, fall and winter festivals are popular. Summer is beautiful, and winter, though cold, is a bustling time in Quebec City. 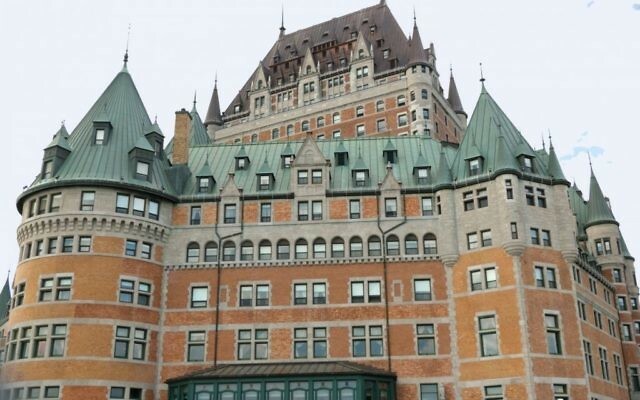 Where to stay — The Fairmont Chateau Frontenac is the best upscale choice overlooking the St. Lawrence. Nearby are many large and small hotels, including the charming Hotel Grande-Allee, a 10-minute stroll from the Frontenac. Special travel interests — French Canadian culture, Canadian history and year-round outdoor activities. Jeffrey Orenstein is a syndicated travel writer who lives on Florida’s West Coast. He and his wife, Virginia, enjoy simply smart travel and writing about it. Check out their travel ideas, articles and blog at www.SimplySmartTravel.com and facebook.com/SimplySmartTravel.